If you're having difficulties getting paid, seek out a builders lien. We have all of the information on what this is and how it can benefit you. It happens in construction as often as pouring cement - a disagreement about the scope of work and whether or not the work is done correctly. You've got bills to pay and mouths to feed and for the moment, your work is free. That doesn't fly. This is where a builders lien can help you. Urgency matters more than you think - the average annual value of construction disputes is $21 million in North America alone. How does a builders lien help you stop wasting time in limbo and earn what you worked for? Keep reading to find out. As with most things related to money and building, it's useful to start at the beginning. Most houses are built on good foundations (the ones that keep, anyway). For starters, it's not quite a synonym. Though you could be forgiven for thinking it is. A construction lien is a claim made against a property by an individual (like a contractor) who has supplied labor or other materials for work on that property. To make a long story short, a construction lien is what protects you from not getting paid. Because, you know, bills to pay and mouths to feed. We said that a builders lien and a construction lien aren't quite synonyms. There's a reason for that. In both cases, you file a lien if you have done work and/or provided materials on a job site and have not been paid. The lien is a registered legal interest against the property to protect you against non-payment. Technically, they are the same thing (almost a synonym). But whether it's called one or the other varies based on where you are. They're not actually synonyms because what they're called varies based on where you are. The filing period also varies based on where you are. A matched set, if that's your thing. In Ontario, builders liens can also be called construction or mechanic liens. In Nunavut, Newfoundland, Nova Scotia, New Brunswick, PEI, Yukon and the Northwest Territories, they can be called mechanics liens. Only in Alberta, British Columbia, Saskatchewan, and Manitoba are they called builders liens. Lucky for you, we work in Alberta (with extensive experience to boot). Listen, everyone wants to get paid. That's why we have a law to help ensure you get what you're owed. Because as they say, money makes the world go round. The Builders Lien Act establishes special remedies to protect contractors and subcontractors from client non-payment. Before you get too excited: you have to meet certain requirements in order to get the remedies. Have to hold up your end of the bargain if you want someone else to hold theirs, amigo. Moral of the story: file your lien on time. And be thorough about it. If you miss the deadline or make a mistake, your lien is invalid. Know what happens to an invalid builders lien? You lose when your lien gets taken to court by the owner of the property or other interested parties. Oh, and you have to pay the winner's legal fines. Not only do you not get paid, you now have to pay someone else's bills. Under the Act, you can file a builders lien when you have completed improvement on a property, including work and providing materials, and there is an unpaid invoice. Like a mortgage, the lien will then go on the title of the property. Once your lien has been filed, the owner and the head contractor will be notified (it's only fair, after all). More than likely, they'll be willing to work with you to figure out payment - after all, going to court is a hassle that most people prefer to avoid. Plus, you know, there's that pesky lien attached to the property title. Meaning that anyone who searches the property - including people interested in buying it - will see that the lien is part of the title. The potential of a lost sale tends to be a strong motivator. But if the builders lien isn't enough to get your dispute settled, you may have to take the property owner and the head contractor to court to get paid. Remember earlier when we said to be careful that your lien is correctly filed? This is when that becomes important. The long and the short of it is that the Act provides a valuable measure of security for tradespeople (you). Unfortunately for you, the Act is also frustratingly complicated. Since complicated can often spell bad news, let's talk about one of the important misunderstood aspects of the Act. We can't talk about the Act without also covering holdback obligations - especially because they're so often misunderstood and thus improperly handled. As you might guess, holdback obligations are another form of security. They have two purposes: to provide security for contractors and subcontractors who provide labor, and to limit the liability of owners. To be clear: it's not strictly to defend the owner from your lien claim. Think of it like the food chain. If an owner hired a contractor who later employed you, and you later file a lien against that contractor, the holdbacks limit the liability of everyone along the chain. Under the Act, everyone in the contractual chain (beginning with the project owner) is required to retain a 10% holdback from all payment amounts made for work done. Yes, even if it isn't in the contract you signed. The legislation trumps the contract. So, everyone down the contract chain is required to hold back 10% of any payment made if that payment was made because of the contract. Note that if the value of the work done is greater than the amount in the contract, they have to retain 10% of the value of the work. To help with the details, let's talk through an example. Now let's say an owner holds back $50,000 from a contractor over the course of construction work on a house with a total value of $500,000. Now let's say that contractor hits the rocks, financially speaking, and doesn't pay people further down the food chain. That would be you - the plumber, the electrician, etc. Every subcontractor who worked on the house, in other words. Let's say all those individual subcontractors file liens. Let's go further and say all of them file correctly. And because it was a pricey project, it's a whopper of a price tag - say somewhere around $70,000 (yikes). Put yourself in the owner's shoes for a moment. You've already paid out almost $500,000 for construction work, and the contractor fritzing out on you couldn't be predicted and wasn't your fault. Suddenly, you're stuck paying for more than 100% of what the house is worth. Thus, the holdbacks. The owner pays the subcontractors the $50,000 on a pro rata basis. The subcontractors then pursue the general contractor for the difference, and the owner has no further liability. What if the Owner Doesn't Have a General Contractor? Basically, they've cut out the middleman. What if the Owner Doesn't Retain Holdbacks? It's their prerogative. But it's a bad idea. Because if you and your fellow subcontractors file a builders lien, they're still liable for the 10% they should have held back and will be required to pay it when the claims have been proven. It's the same story with a general contractor - if a lien is filed and is proven, they're required to pay the 10%, even if they didn't do the holdbacks in the first place. It's easy to see where holdbacks get complicated. Smaller, more informal projects can get especially complicated. 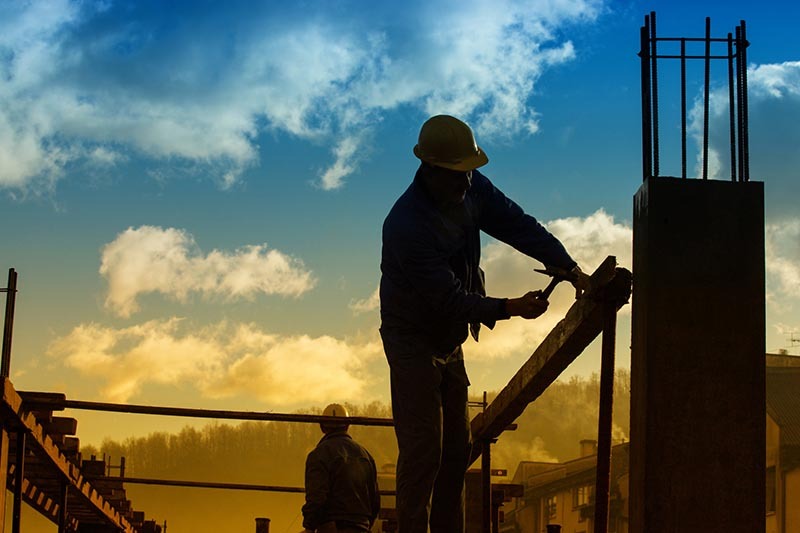 How Can a Builders Lien Help You? Think of it like an insurance policy. In a lot of ways, that's exactly what it is - insurance to make sure you get paid. The lien acts as a collection tool. The property cannot be sold or refinanced until the claim has been addressed, which forces your delinquent customer to show up at the negotiating table. They can't get around it until either the claim is properly dealt with or the claim expires. Before you get nervous, remember that they've got a good incentive to deal with it before the claim expires because they can't move forward with the property while your lien is attached to the title. Even in the word case scenario - the head contractor goes bankrupt, you don't have contact information for the owner or both - a builders lien gives you a chance to recover at least part of your unpaid invoice. Notice the choice of words. Part of your unpaid invoice. Not all of it. Filing a builders lien won't get you the full amount that you're due. Assuming you file correctly and you win, you'll only get the holdback amount - 10% of the payments due to you. But listen: if you did a lot of work for a customer, and you can't get them to pay the full amount at the negotiating table, 10% at least gets you something for your time. Of course, there are always those owners and contractors who just pay what you're due once you file a claim. Those are the best customers, aren't they? Almost as good as the ones who pay what you're due, when it's due, in full. Who Does a Builders Lien Help? With all of that in mind, you're probably wondering who actually can file a lien. Since, you know, it's all fine and good unless it doesn't help you. Basically, it's like we've been saying all along. You provide work for a construction project, including labor or materials. In other words, you're a worker who has in some way contributed materially to the improvement of a property value through your services. You deserve to get paid. Thus, the lien can help you. Of course, none of this is terribly helpful if you don't actually file your lien correctly. Even if you did the work. Even if the contractor or owner was at fault for not paying you. None of it matters if the lien isn't filed correctly. Funny how the legal system catches you on the small loopholes. It's not just about filing the lien itself, either. Liens come with strict deadlines attached. If you fail to file one within the allocated timeline for your area, you lose the right to file a lien at all. Even if you're right. Don't fall into that trap. You don't get paid that way. Remember that filing deadlines and rules are different depending on where you are. When all else fails, it's always a good idea to talk to a lawyer early to make sure you're filing everything correctly. If you need one, check out our available legal services. In other words, you have from the day the project stops. Note, however, that simple completion, termination or abandonment of a subcontract that is not a head contract will not start the clock on a lien. The timeline depends on where you are and what work you did. Generally, the timeline is 45 days, but it also depends on the project (condominiums and mines, for example, have different deadlines). And before you ask: this is not your high school English paper. You cannot get an extension. If your head is spinning from trying to keep deadlines and regulations straight, remember this. When all else fails, a good lawyer can get you a long way in making sure you get the money you're owed. We provide a list of useful legal tips anyone can use on our legal resources page. But if you're ready to get started - or just want to ask a question to get the ball rolling - head to our contact page. This entry was posted in builders lien by verhaeghelaw. Bookmark the permalink.